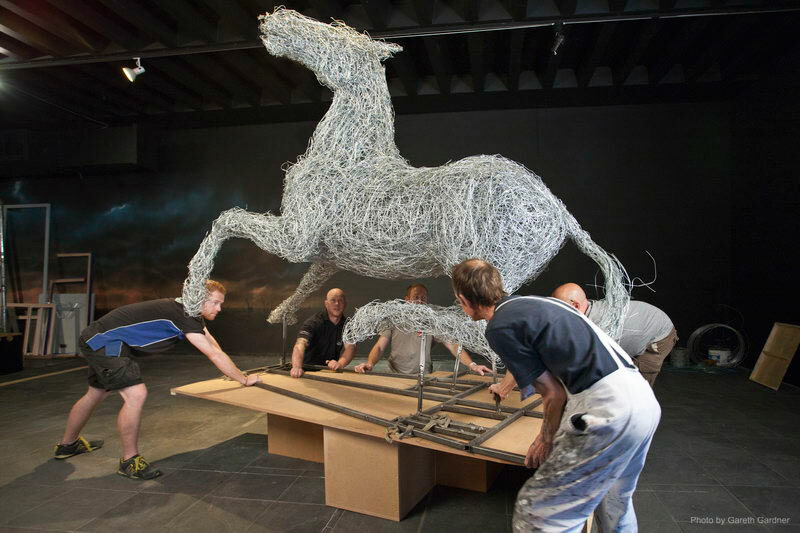 Laura was commissioned by the National Army Museum in London to create a lifesize horse as the centre piece for their hugely successful exhibition War Horse. 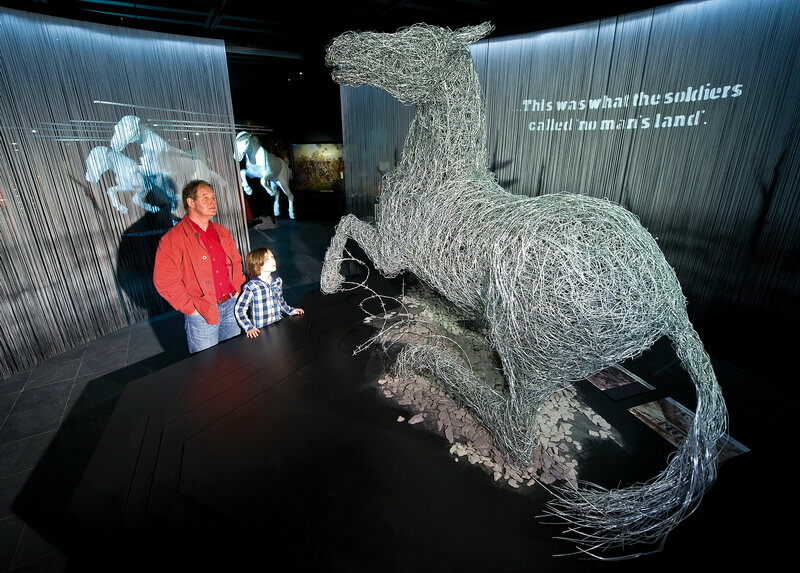 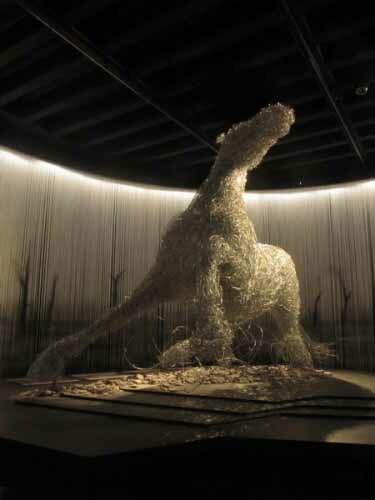 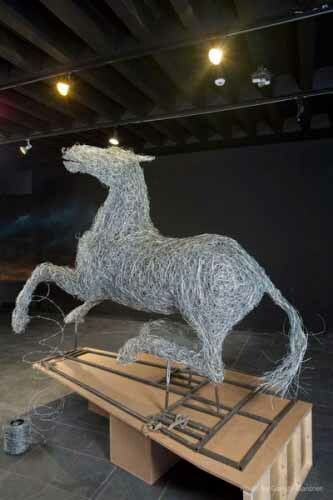 Made in steel wire, the sculpture created a pinnacle moment within the exhibition bringing the fact and fiction of the War Horse story together. 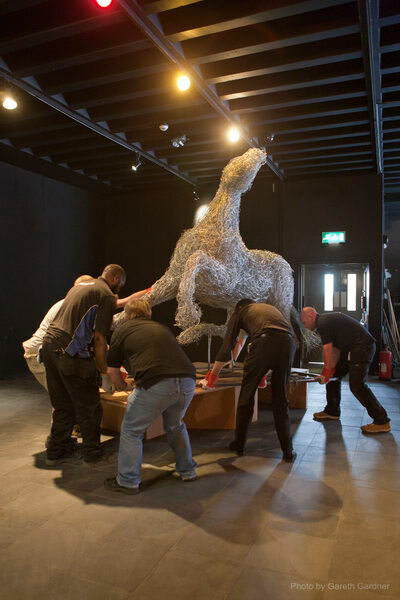 Exploring the true history behind the extremely popular novel Warhorse by Michael Morpurgo, the exhibition focused on the forgotten heroes, those horses who have been used in war throughout the ages. 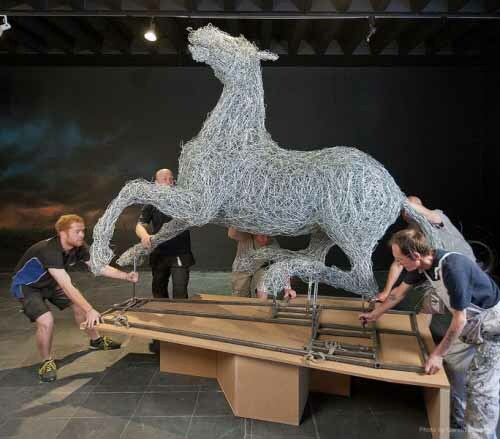 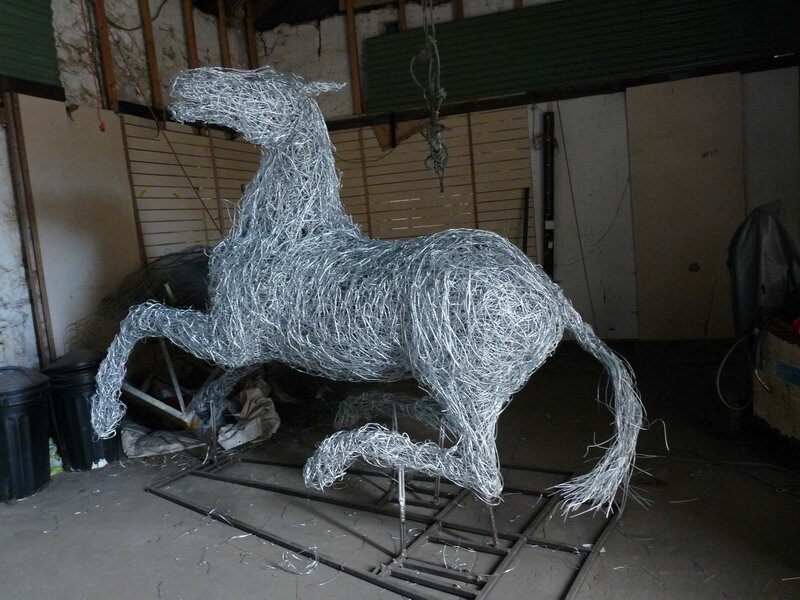 The Army Museum were looking for a sculpture to depict the drama, fear and struggle of the horses caught up in barbed wire and trapped in No-Man’s-Land in the First World War. 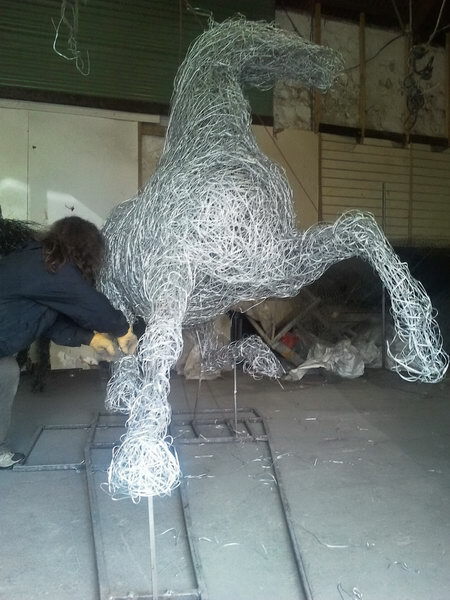 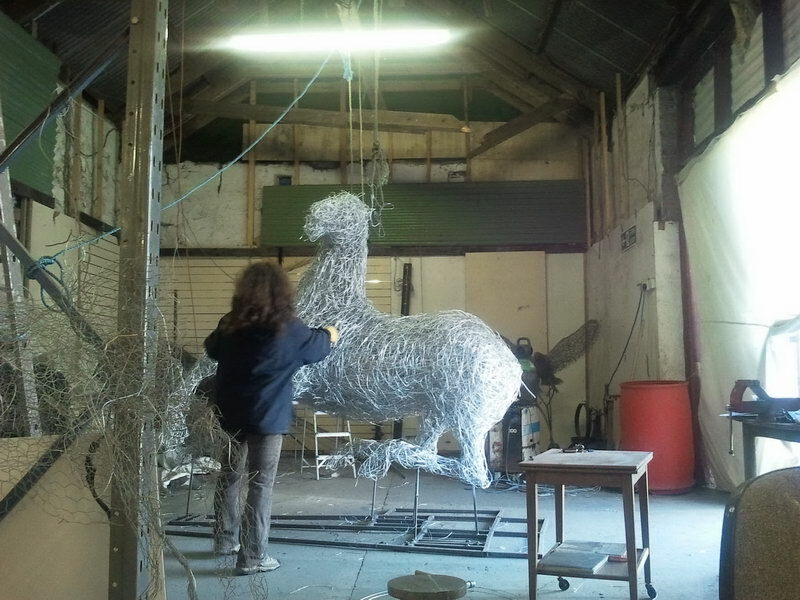 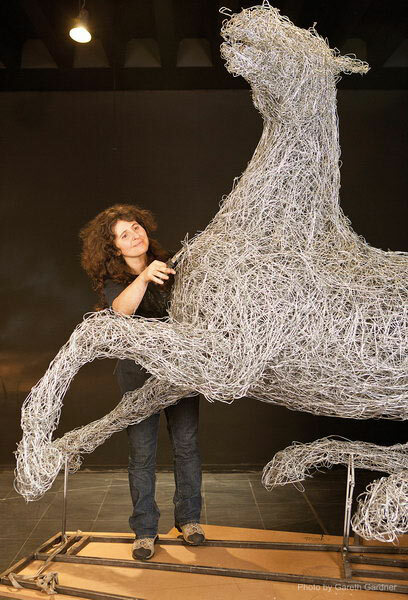 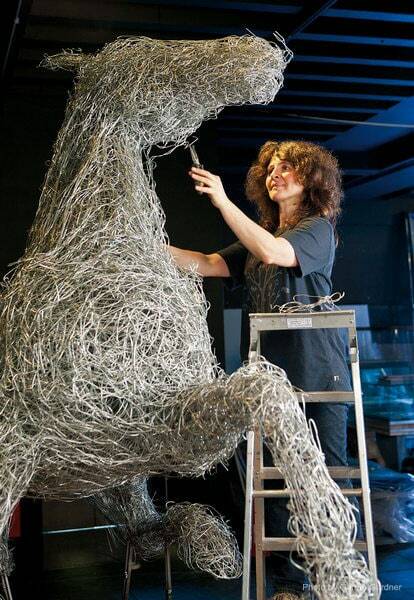 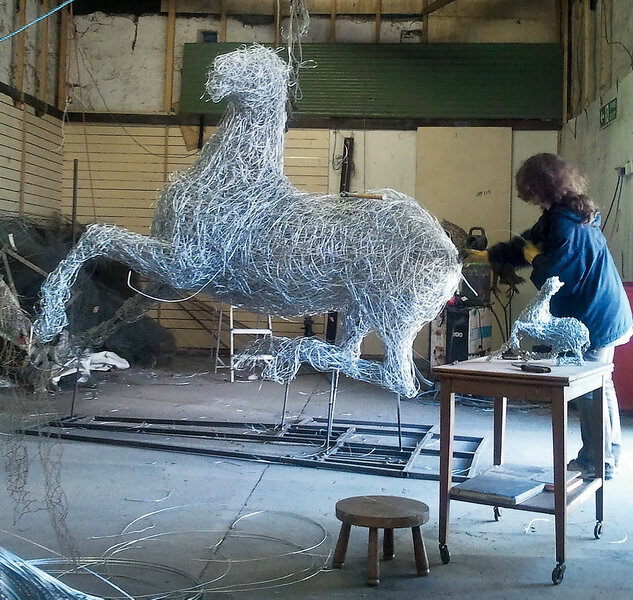 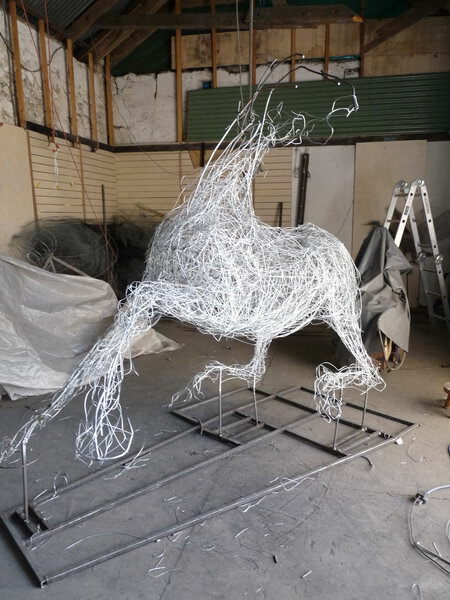 After working on a maquette for a few weeks to find the energy, gesture and pose of the sculpture, Laura then spent the next ten weeks and 200 kilos of fencing wire translating the model into a life-size statue that echoed the power and emotion of the central character ‘Joey’ in the War Horse novel.